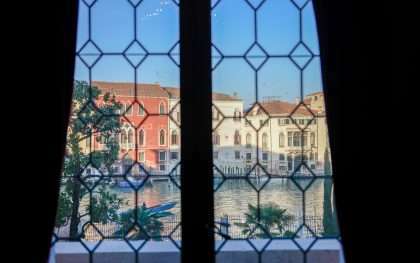 As of fairly recently there is an elegant new lady on the hotel scene in Venice. 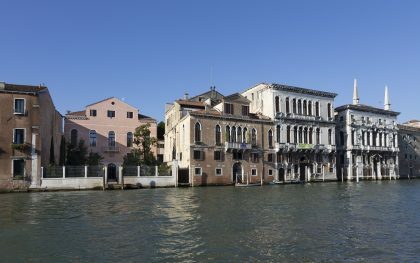 Palazzo Venart sits quietly on the Grand Canal, in the peaceful area around San Stae where the lesser spotted Venetian actually still lives. 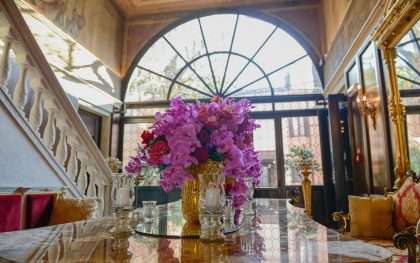 Your arrival is nothing short of sublime, stepping out of a water taxi onto a pathway bordered by lavender and surrounded by mature trees into the powder pink palazzo. Or, nipping off the street through a discreet wrought iron gate into a courtyard, past Roman statues (replete with missing noses) and lemon trees. 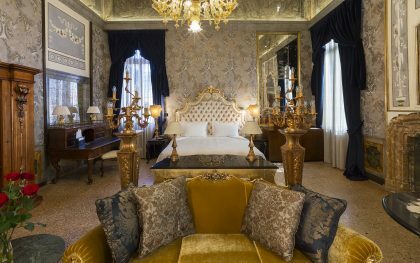 The rooms are fabulously Venetian and lavish, no hint of pared down minimalism here. 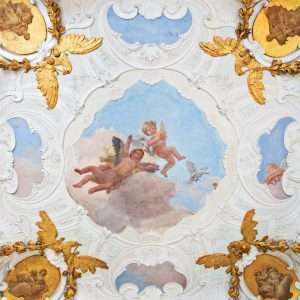 Expect gold leaf, richly coloured velvets, chandeliers and bathrooms that Liberace would be proud of with soaring high ceilings covered in frescoes and marble the colour of roasted chestnuts. 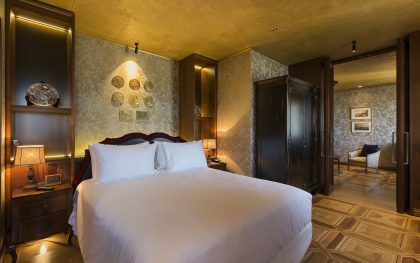 Of the 18 bedrooms, we particularly like room 202 which reflects the Taiwanese owner’s roots with a collection of lacquered Chinese cabinets and beautiful objets d’art. 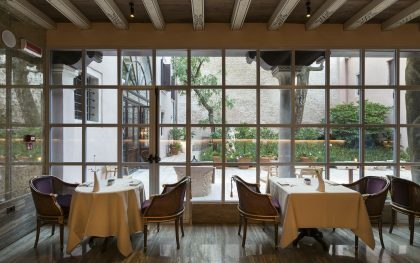 Downstairs, the restaurant GLAM is gaining an impressive reputation amongst visitors, and in our opinion even more surprisingly with local restaurateurs include the discerning owners of Antiche Carampane. 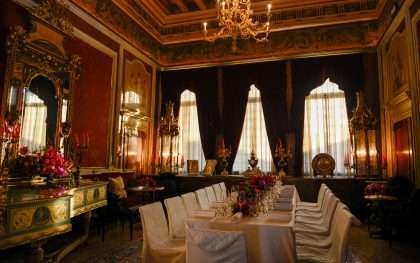 Under the watchful eye of 2 star Michelin chef Enrico Bartolini, expect a clever twist on Venetian classics such as saor in pumpkin with whipped baccala and herbs picked from the garden. Service is slick, with check in taking place in your bedroom. 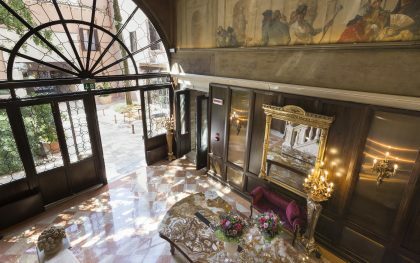 General Manager Angelo is one of the most charming in the city, and positively bubbles with enthusiasm when discussing his new life in Venice. This is the perfect spot to spend a long weekend, preferably in the winter with someone you love, getting lost in the quiet alleyways of one of the most charming and unspoilt parts of the city. Go now before the secret is out!